On November 8th, Super Typhoon Haiyan made landfall in the Philippines, devastating millions of lives. Initial reports describe losses of historic proportions, making ChildFund’s emergency response work more vital than ever. Please consider giving today. Barreling through the Pacific toward the South China Sea, Super Typhoon Haiyan has slammed the Philippines with torrential rains and winds of up to 195 mph. Haiyan is the largest typhoon to ever hit the disaster-prone nation, and initial reports estimate that tens of thousands have died and at least 17 million people are affected. Small, impoverished villages in the country’s coastal areas are among the hardest hit. Reports from Tacloban, the capital of the province of Leyte, describe storm surges flooding large parts of the city, and cutting off power and communication lines. 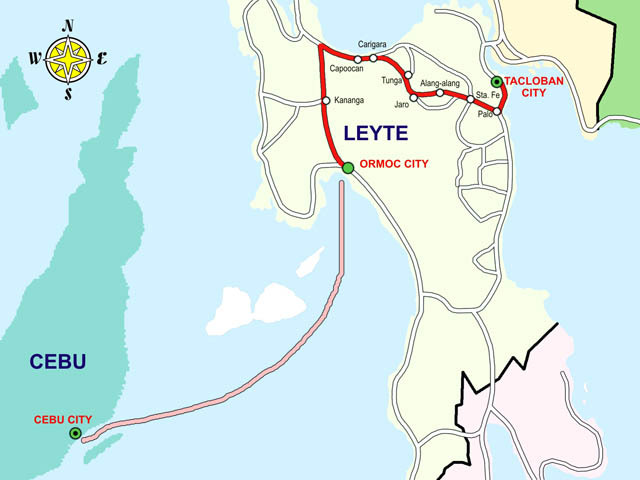 Just 30 miles away, ChildFund has program areas in the sea-level town of Ormoc. As emergency teams rush to reach victims, the full extent of the damage may not be immediately clear. What we do know is that the needs of the Philippines’ most vulnerable communities will be substantial. In the Philippines, ChildFund is already on the ground getting food, water, basic household items, emergency kits and tents out to affected families. We are doing so in collaboration with the Philippine government and numerous humanitarian partners. These efforts are organized within a “cluster” framework that operates under UN leadership. There are 11 clusters in total, each focused on a different aspect of relief. In light of ChildFund’s uniquely holistic approach to child and community development, we may be asked to support multiple clusters, depending on the challenge at hand. In this particular case, our well-known expertise in child protection services will play a critical role in addressing the trauma that children and families endure in the wake of Super Typhoon Haiyan. After being displaced from their communities, living in emergency shelters and witnessing so much death and destruction, children experience an extraordinary amount of stress during and after a crisis. While trauma support is often overlooked within response efforts, it is essential to helping children recover from disaster. ChildFund’s unique trauma counselling environments, called Child-Centred Spaces, are designed and run by trained psychologists. They encourage children to share their stories and feelings about how the disaster has affected their lives. They also allow children to play and interact with one another through normalizing activities like games, arts, crafts and music. In Child-Centred Spaces, children learn that their responses to disaster are natural and realize that others are experiencing the same emotions. By processing their experiences in this way, children learn to separate emergency coping mechanisms from “normal” ones, facilitating a return to healthy behaviours and social interactions. “For children, emotional stress is one of the most devastating effects of [a disaster],” explains Mario Lima, ChildFund Guatemala’s Country Director. Last year, he saw the importance of Child-Centred Spaces first-hand after a massive earthquake struck his country. Whether in Guatemala, the Philippines or Timbuktu, our trauma programs provide the specialized support that children need to overcome their feelings of fear, sadness and helplessness. Young victims are able to regain a sense of self, safety and community that allows them to continue moving toward a positive future where they and their families can thrive. Long after the media spotlight fades, families across the Philippines will still be working tirelessly to rebuild their lives. In addition to the enormous toll that Super Typhoon Hayiyan has taken on human life, it has also destroyed precious farmland and killed valuable livestock and ocean life that families depend on for income. That’s why, over the long term, ChildFund will shift its focus from immediate trauma services to livelihood development, helping families reclaim their dignity and rebuild self-sufficiency from the ground up. With the help of partners like you, our livelihood programs will help restore assets and income-generating activities to get families back on their feet – the first and most foundational step toward empowering them to drive their own prosperity and wellbeing. 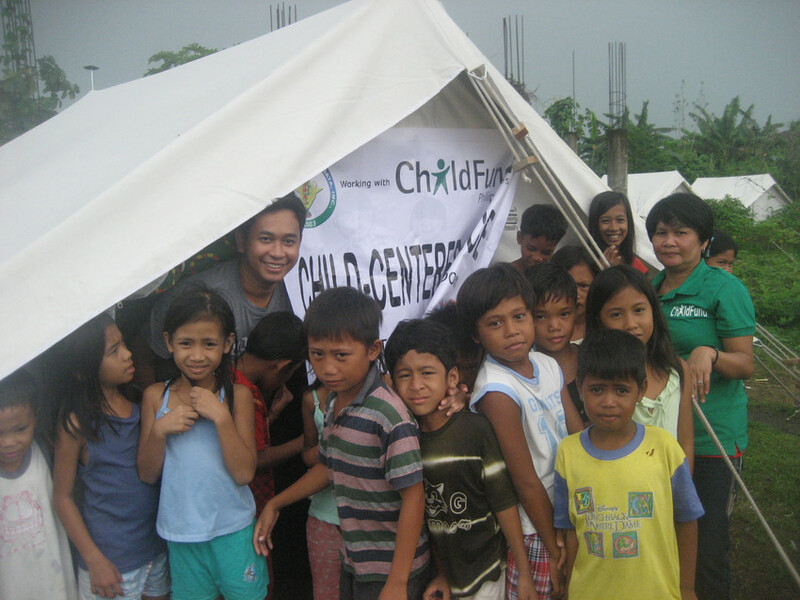 ChildFund has been working in the Philippines for the last 60 years. In a nation that consistently experiences a range of natural threats, we have the experience and the expertise to respond to victims’ most urgent needs. One of our largest emergency operations followed the Indian Ocean Tsunami in late 2004, when ChildFund was also highly involved in the work of the Protection cluster. Due to the massive displacement and destruction caused by the crisis, children were at extreme risk of being separated from their families, exploited and severely traumatized. In response, ChildFund established 120 Child-Centered Spaces serving over 23,000 children. With so many homes flattened, livelihoods destroyed and lives tragically lost, families across the Philippines are being pushed to the edge of survival. We have the experience and skills to help children cope with this disaster and get families back on their feet, and as emergency teams continue to assess the full extent of the damage inflicted by Super Typhoon Haiyan, ChildFund will continue to mobilize as many resources as possible – but we can only do so with your help. Please make a contribution to our Emergency Fund or Sponsor a Child in The Philippines now -it will make a difference to people who need help today.